Welcome to Not Just The 3 Of Us, the Lifestyle Blog for those of us that want to make every minute count. This blog is all about Midlife. The joys and the challenges. I am always looking to challenge the perceptions around age and the mid-years and this is where I do it. From time to time, I will happily collaborate with brands where there is an opportunity to work together to expand further on the content of this blog and add value to my reader. Any sponsored posts or reviews will be in keeping with the content and ethos of my blog. None of us want to be sold to and for this reason, you will notice that there are minimal reviews on this site. Any sponsored reviews that I participate in will always have been subject to my rigorous testing and will only be shared with my audience on this basis. All reviews and sponsored posts will be declared as such. 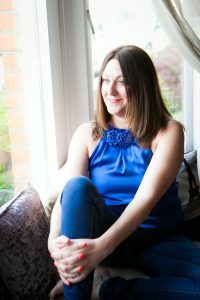 Some of the brands I have enjoyed working with are Asda Lifestyle, Leesa UK, goHenry and Wayfair UK as well as small businesses, entrepreneurs and start-ups. If you would like to discuss possible collaborations, please pop over to my Contacts Page.